An independent cinema that offers up a great range of current and classic movies with a dine-in table service experience. The food is all made from local ingredients inspired by film, which can be enjoyed during an evening film, over brunch, or at the Low-Res bar. 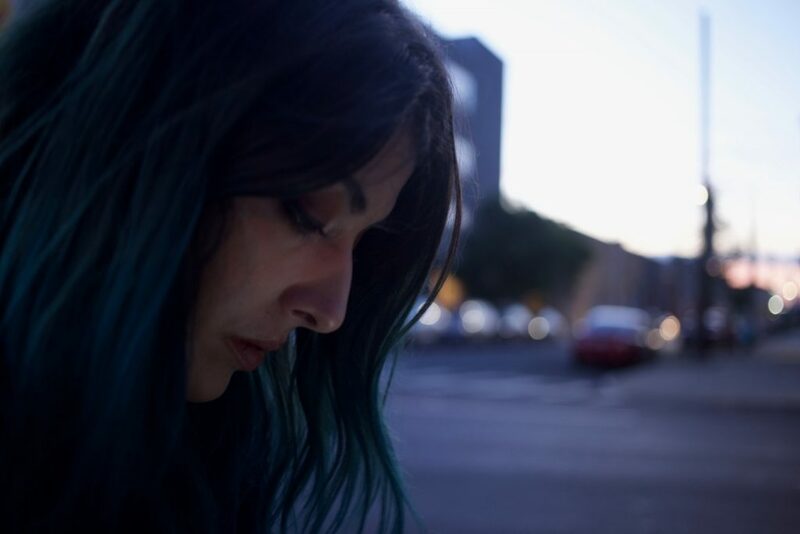 As well as showing new releases, Nitehawk also offers a unique programme of events including: Local Colour (which showcases work from New York filmmakers), The Deuce (which focuses on grindhouse) and Country Brunchin’ (where country bands play along with a movie). If that wasn’t awesome enough, Nitehawk also changed the law by overturning the prohibition-era New York State liquor law that prevented enjoying a beverage whilst watching a movie. I say cheers to that! In our 11 year relationship, our evening at Nitehawk Brooklyn stands out as one of my most memorable dates ever, for all the best reasons. 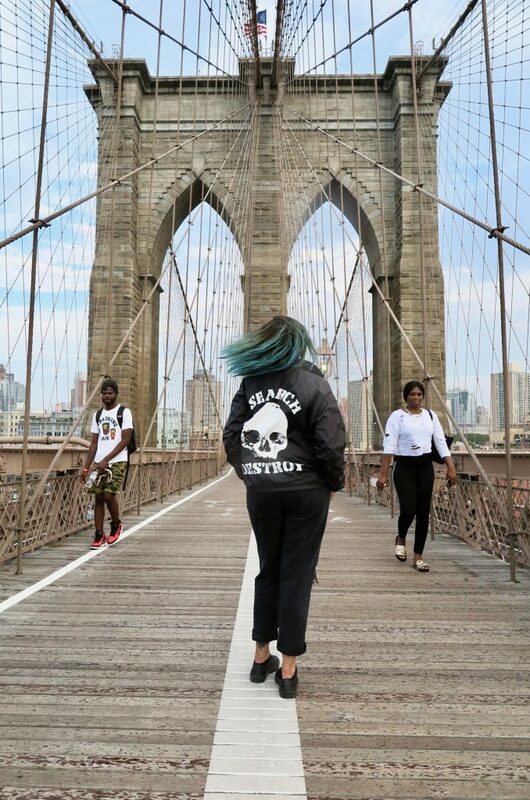 I’ve already done a full list of amazing independent stores in Brooklyn but whether you want designer, high street, vintage, thrifted, or something crazy obscure Brooklyn has every type of shop imaginable. A brand now known the world over but until my visit I never knew my pint had such a rich history. The small batch tours are limited to 30 people and allow an all access view of how the brewery works, as well as a tasting. 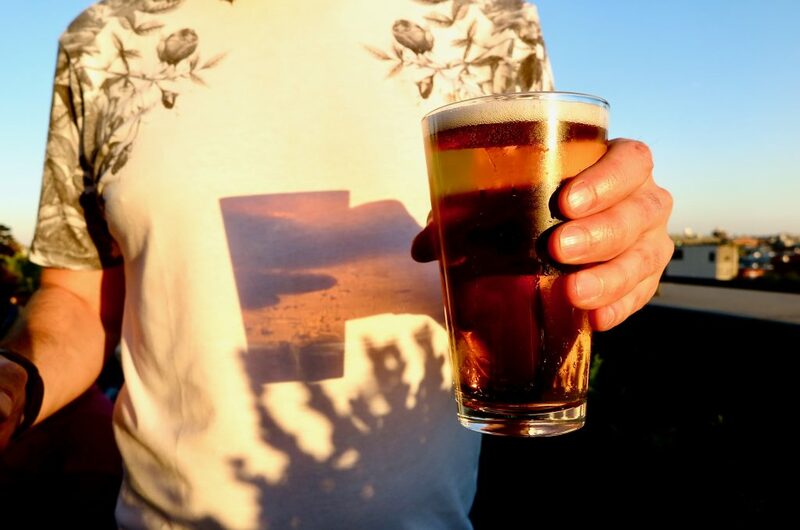 The tours cost $15 and is well worth the price tag: an hour tour with a knowledgeable guide, 4 beer samples, and a souvenir Brooklyn Brewery glass to take home. This place is famous not only for being a great bowling alley, but also because it hosts some incredible events and bands, so I’d definitely recommend checking out the programme before visiting. 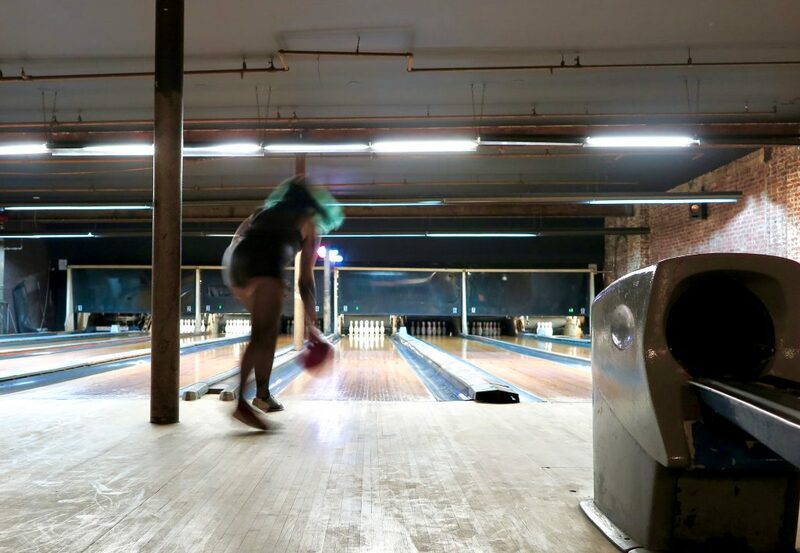 After having bit too much of a good time at the Brooklyn Brewery tour next door we arrived a little tipsy and due to our dutch courage we somehow managed to skip the cover charge on the door and had an amazing night of bowling, boozing, and live music. 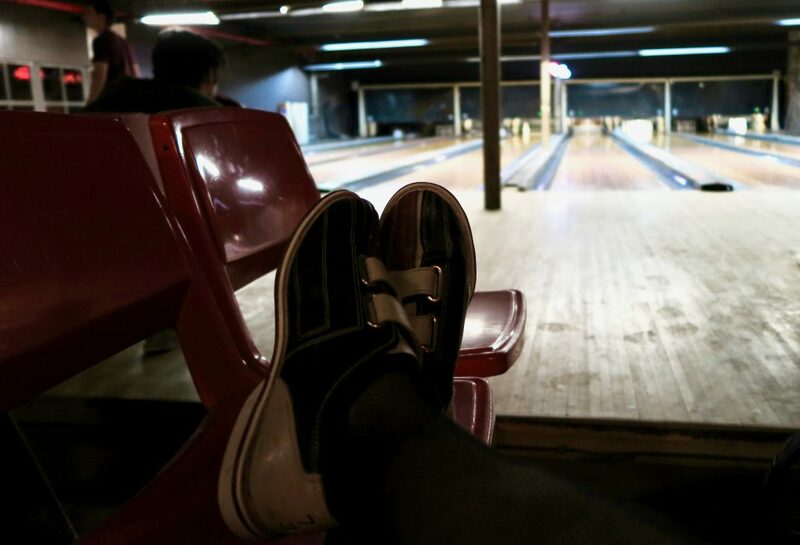 I absolutely loved my visit to Brooklyn Bowl, but if I was a local then The Gutter would be my regular haunt. This is an old school, absolutely no frills, grungy, bowling alley which is low tech, has sticky floors, cheap beer and a great rock playlist. 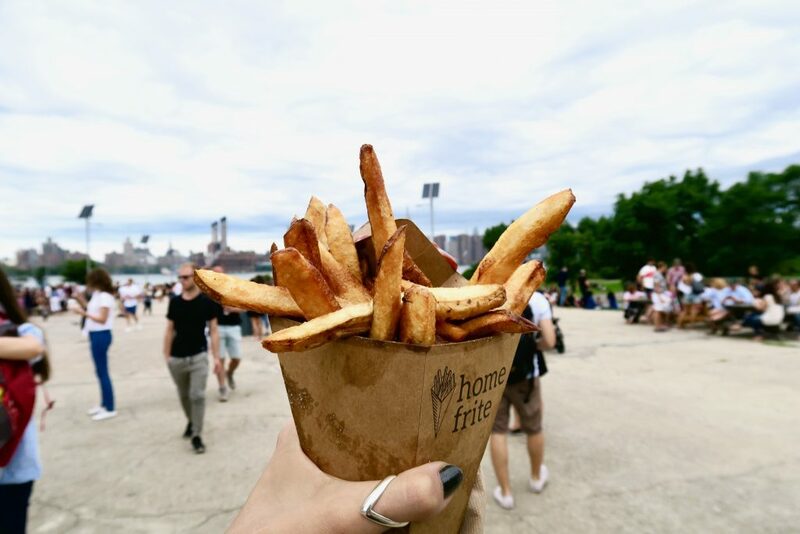 An awesome street food market in a variety of Brooklyn locations serving up a huge variety of culinary delights. The food is truly amazing, but this is a super busy so be prepared for crowds and long lines. A stunning city park that is so much quieter than the more famous Central Park. 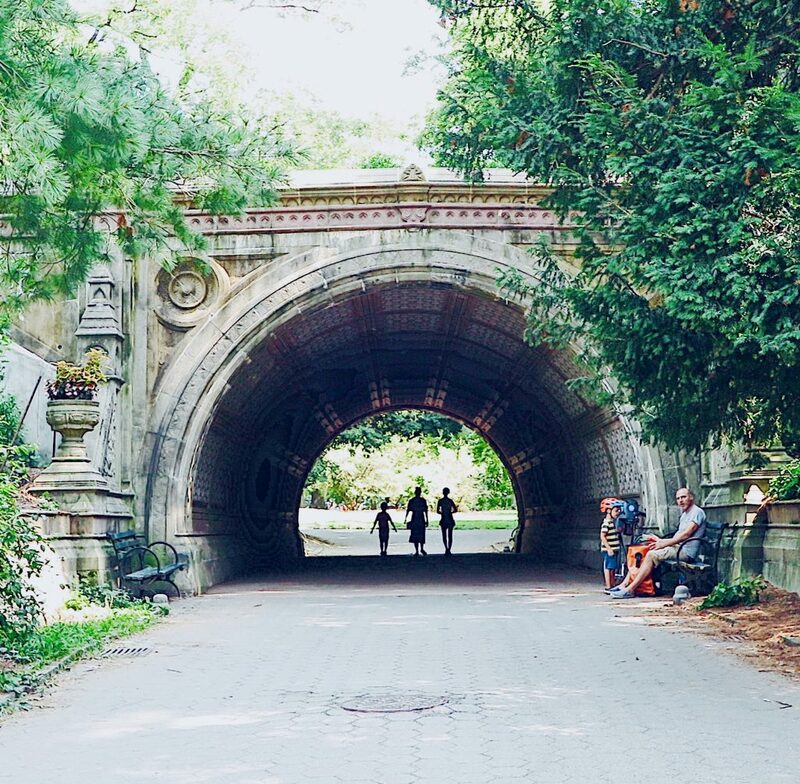 Prospect Park is Brooklyn’s second biggest green space and is the perfect place to spend a peaceful afternoon. The Long Meadow and Nethermead areas are perfect spots for a picnic, or to chill and read a book, but if you’re looking for a little more adventure then The Ravine is a wilder, waterfall lined, woodland area that makes you feel like you have escaped the city. This place is a little fancy and overpriced for my normal taste, but was so worth going up to the hotel roof bar to catch the sunset over Manhattan. 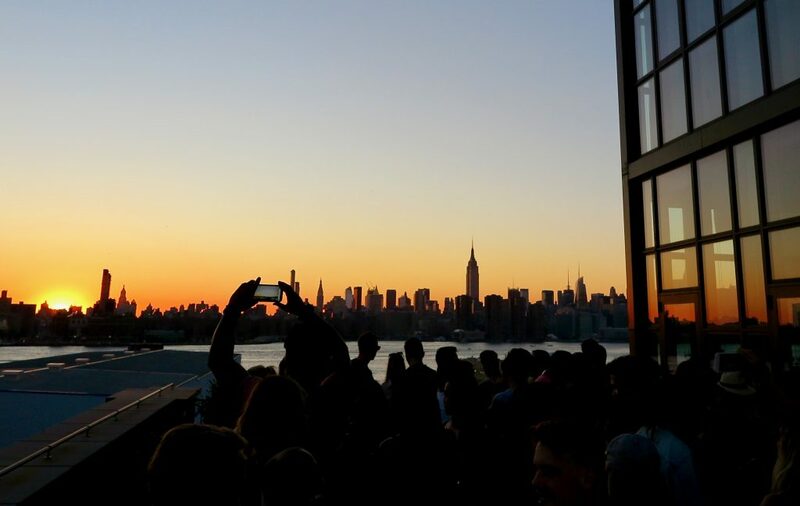 The Wythe has become crazy popular, so if you want a good spot you’ve got to get there early as some nights it can be queued round the block. Pretty much what it says on the tin: a floating barge where you enjoy a beer and take in the Manhattan skyline whilst bobbing in the Hudson. 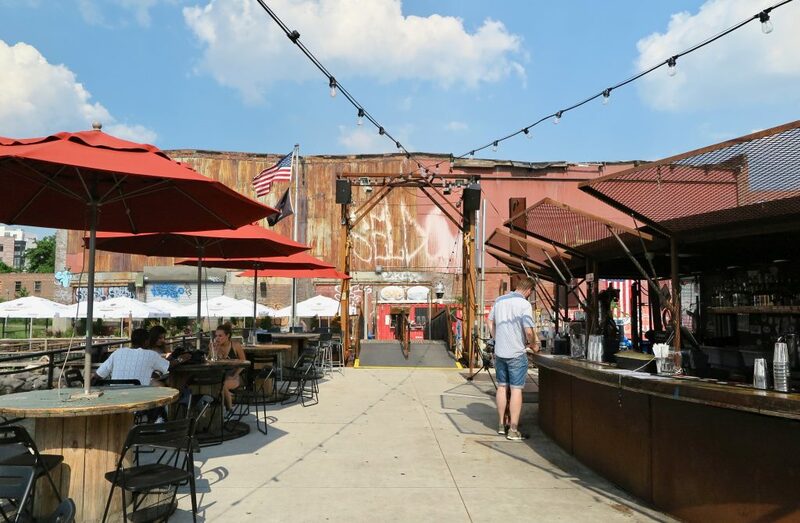 As well as the barge part, The Brooklyn Barge area also consists of an awesome warehouse bar and restaurant. The Brooklyn Barge also partners with educational groups which use the space for events and offer a bunch of recreational activities including kayaking and sailing. 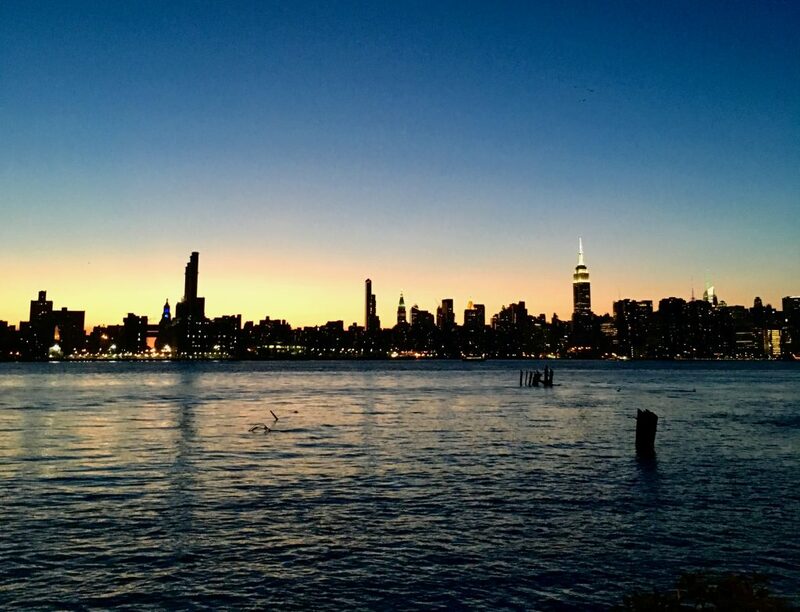 The Wythe and The Brooklyn Barge are fantastic places to watch the sunset but so are many stunning areas on the Hudson shoreline. Some of my favourites include Greenpoint, Brooklyn Bridge Park, and East River State Park. 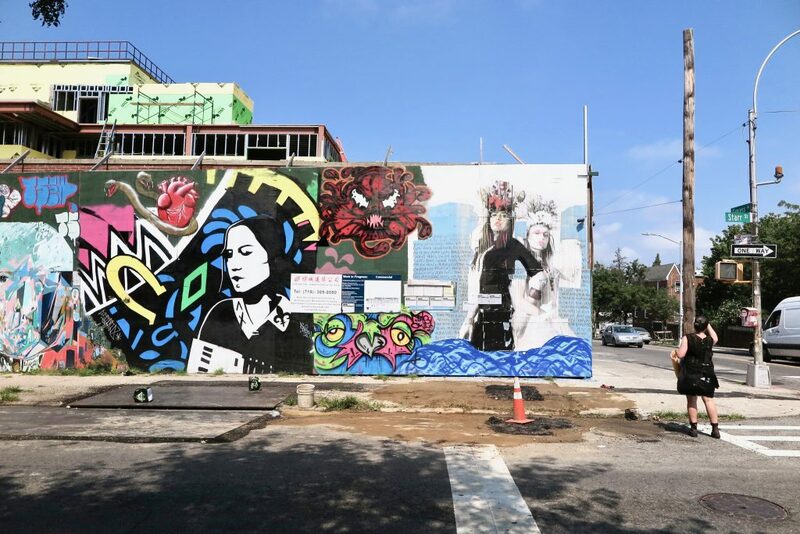 Go on a tour, or just hop off the subway, at Williamsburg or Bushwick and without trying you will stumble across incredible pieces of art and galleries. 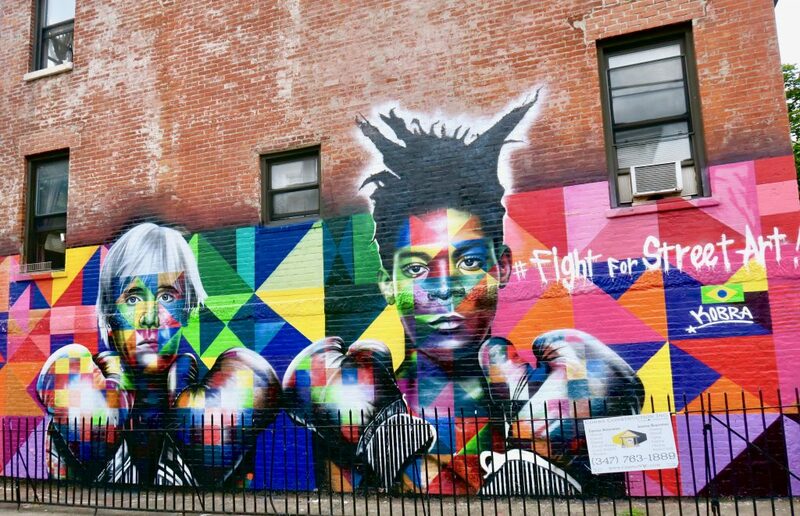 There’s a little more info on the awesome Brooklyn art scene on my Bushwick guide. Not gonna lie, I had romanticised walking across Brooklyn Bridge and the reality of tourists shoving to get a selfie didn’t quite live up to my expectations. Don’t get me wrong I’m glad I ticked it off my New York list but it’s not an experience I would be rushing to do again. 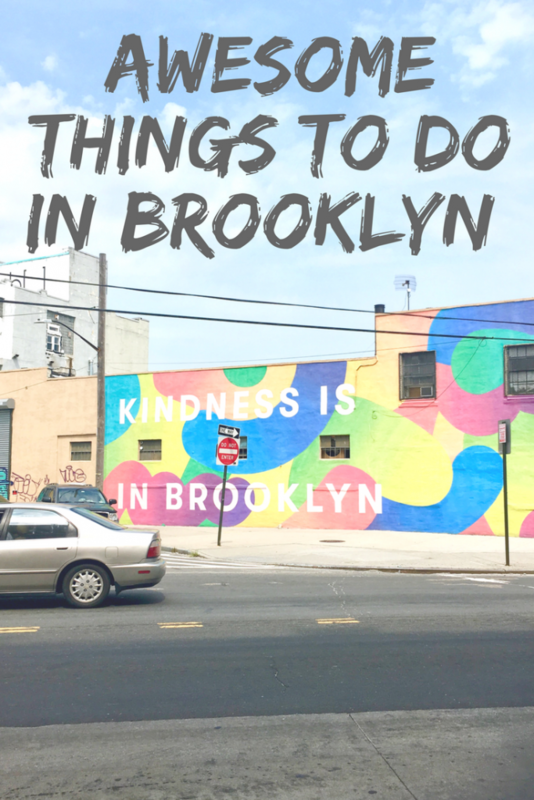 So, there’s my short little summary of things I love to do in Brooklyn. Of course I have missed out one key area, and that’s food and drink; but there are so many incredible places to eat and hangout, so there will be full post on my favourites very soon. 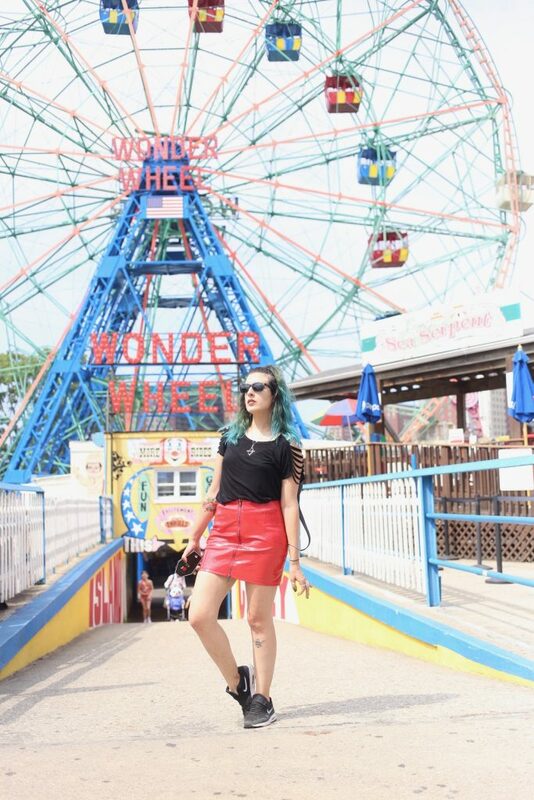 Have you been to Brooklyn? If so have you go any recommendations for my next visit?